Magnificent Home In Highly Desirable Julington Lakes and Saint Johns County Schools!This exquisite property truly defines the LUXURY LIFESTYLE. A must see home! Immediately upon entering this majestic 5 bedroom 4.5 bath ''Clarkson'' by Toll Brothers you are impressed by an open and airy floorplan. Plenty of windows provide an abundance of of natural light. The impeccable decor leaves no doubt that this is the home of a professional interior designer. Upgrades galore include a SUB-ZERO French door refrigerator, JENN-AIR kitchen package, Custom Cabinet ''Kitchen Elegance Package'', Premium Interior Lighting and Interior Paint. 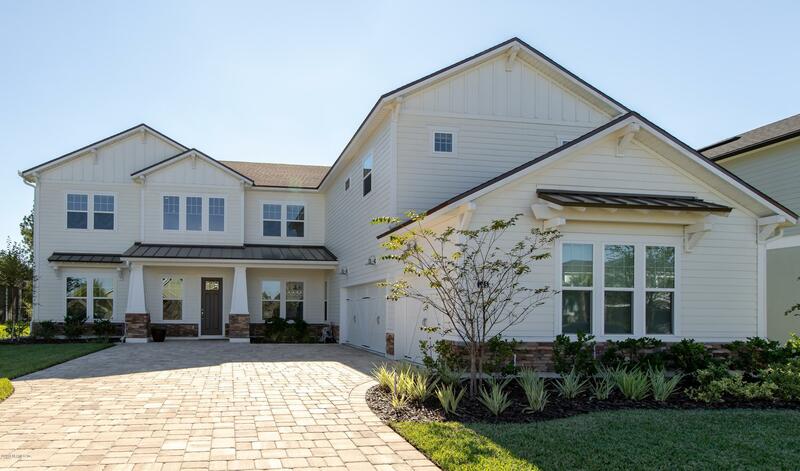 The luxury tile floors, Tongue & Groove carpentry, & the designer Master Bath with premium plumbing features all contribute to making this a showcase home!